Florist on David is a funky, modern boutique creating artistic designs for any occasion. We receive only the freshest flowers from local growers guaranteeing quality. 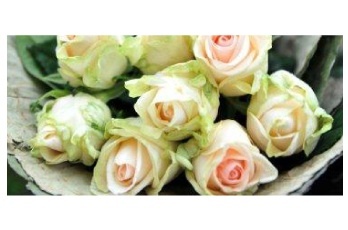 When you place your order with us you are assured of the highest quality flowers and related products. 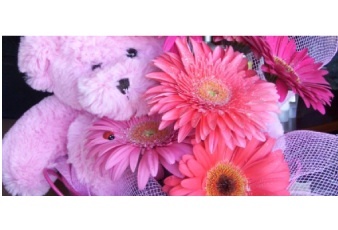 Florist on David is one of the most highly respected and talked about florists in Launceston. Locally owned, we have been trading successfully for over 20 years with qualified staff. Located on the beautiful tree-lined David Street, in the heart of Newstead. Due to overwhelming demand on today's Valentine's Day we have had to close our online shop so as to ensure we can fulfil all our orders that we have taken today already. We sincerely apologise for any inconvenience that this has, however we won't offer a product that we are unable to supply. The website will be back online tomorrow. The staff at Florist on David. Launceston CBD, Newstead, Punchbowl, Norwood, Youngtown, South Launceston, Kings Meadows, St Leonards, West Launceston, Summerhill, Prospect, Prospect Vale, Waverley, Ravenswood, Invermay, Mowbray, Mayfield, Newnham ,Rocherlea, Trevallyn and Riverside. Northern Midlands: Western Junction, Breadalbane, Evandale, Devon Hills, Perth, Longford, Cressy, Campbell Town. Meander Valley: Blackstone Heights, Travellers Rest, Hadspen, Carrick, Bracknell, Elizabeth Town. West Tamar: Legana, Bridgenorth, Grindelwald, Rosevears, Lanena, Exeter, Beaconsfeild, Beauty Point (orders received by 10am). East Tamar: Dilston, Windimere, Hillwood, Georgetown (orders received by 10am). North West Coast: Westbury, Deloraine Devonport, Turners Beach, Ulverstone, Burnie (orders received by 9am or preferred the previous day). Other areas: Please contact us. Just because it is not listed does not mean we can not have it delivered. We are fortunate to have dealings with many courier companies so we will make inquiries and try our best to have our product delivered for you.